Machine Learning is not new, but its application across memory-optimized distributed systems has led to an explosion in both the number and capability of its uses. Pandora develops personalized content recommendations with machine learning algorithms, Tesla has produced the first widely distributed autonomous vehicle, and Amazon uses autonomous robots to move packages within its warehouses and even deliver packages. When coupled with real-time data, advanced analytics approaches like machine learning and deep learning create immediate business opportunities. Machine learning has never been more accessible—if your data pipelines support real-time analysis. Attendees will learn tools and techniques for integrating machine learning models across industries and organizations. Steven Camiña, MemSQL Product Manager, will walk through critical technologies needed in your technology ecosystem, including Python, Apache Kafka, Apache Spark, and a real-time database. 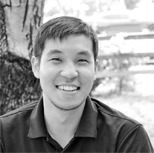 Steven Camiña is a Principal Product Manager at MemSQL. His experience spans B2B enterprise solutions, including databases and middleware platforms. He is a veteran in the in-memory space, having worked on the Oracle TimesTen database. He likes to engineer compelling products that are user-friendly and drive business value.